This is the rolling kitchen cabinet that eliminates countertop clutter while keeping appliances close at hand. 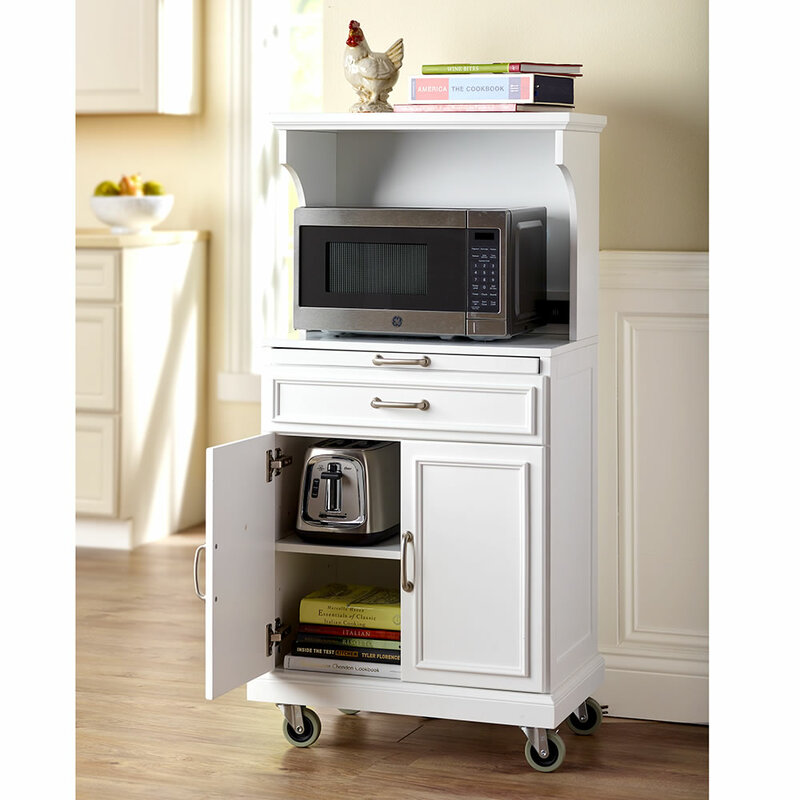 Ideal for smaller kitchens, the cabinet is a full 16" deep, roomy enough for a microwave, and sits flush against a wall to minimize its footprint. 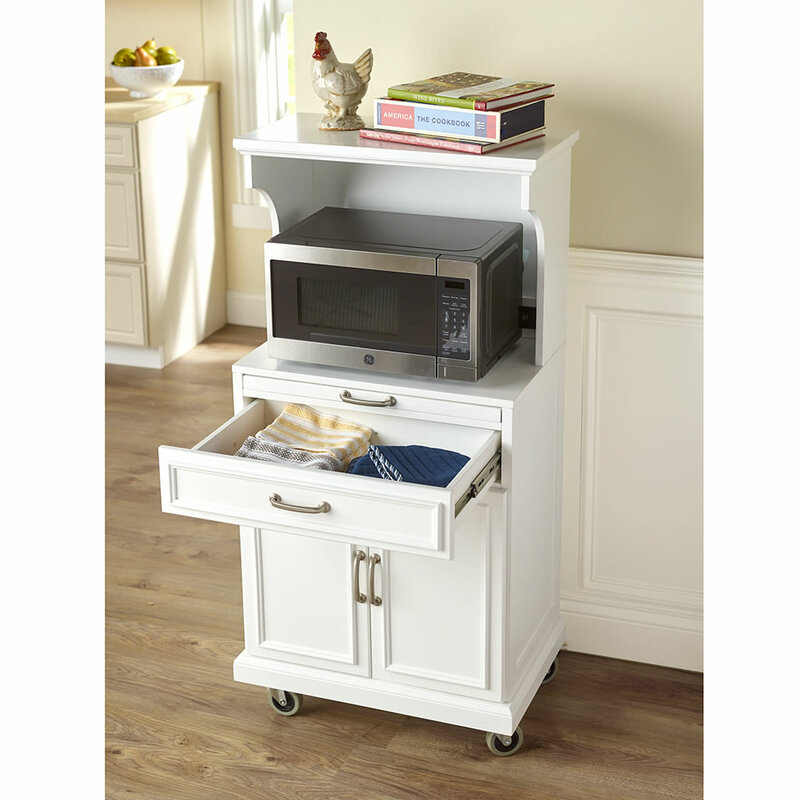 Two doors open to an adjustable shelf for storage and a drawer slides smoothly on metal glides. 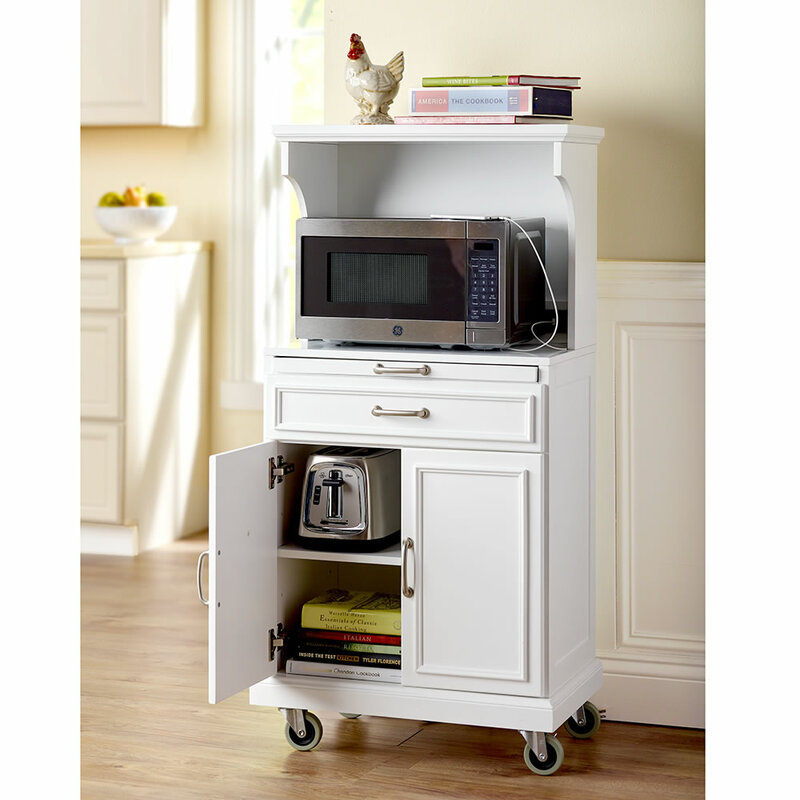 Casters allow the cabinet to be moved easily around the room for storage or cleaning, locking in place for safety and stability. 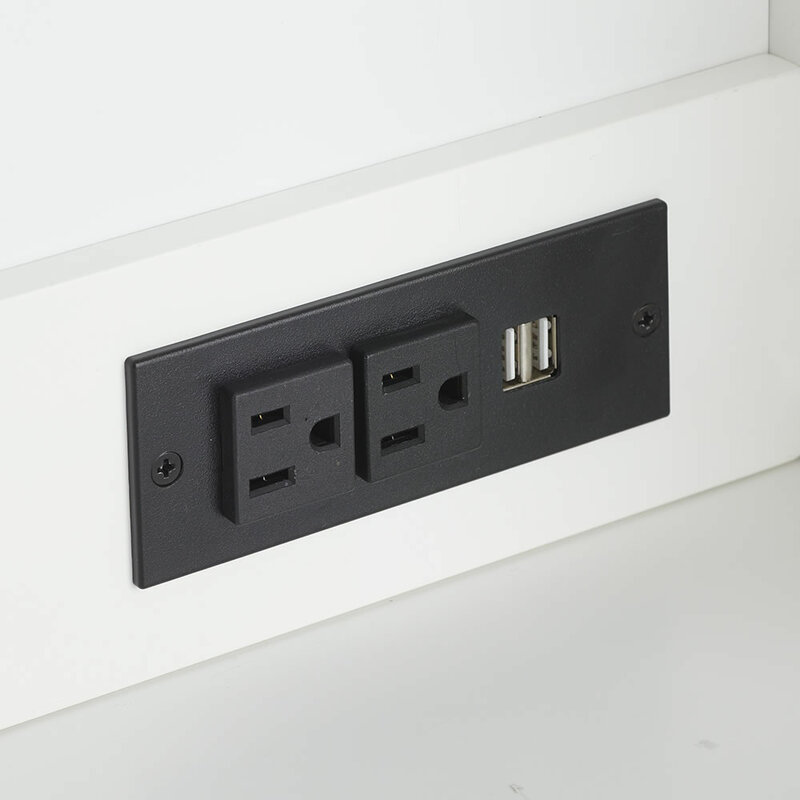 With two three-prong outlets and two USB ports. Assembly required. White. 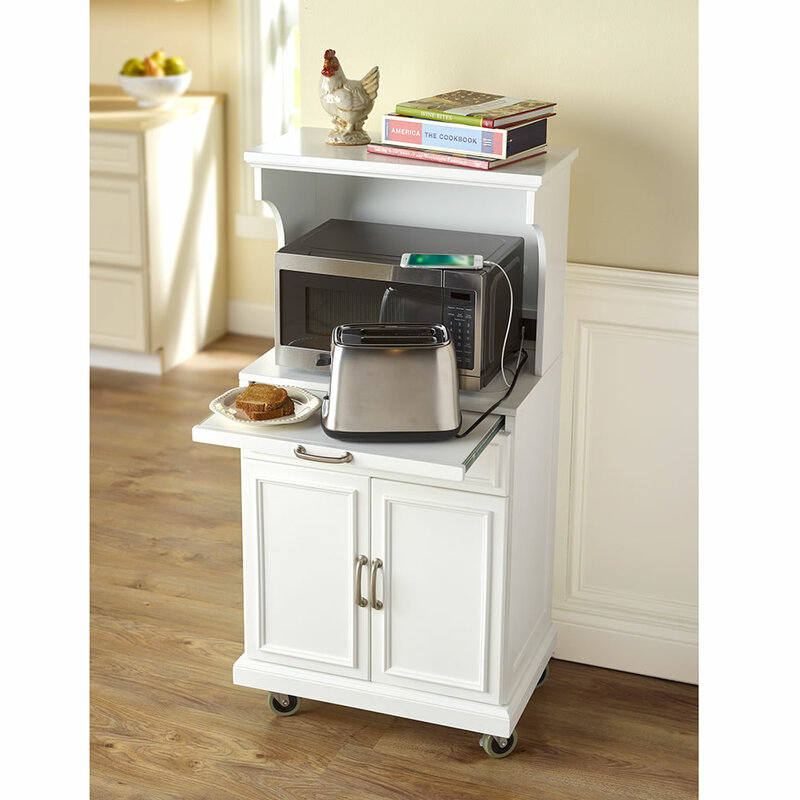 48" H x 24" W x 16" D.
The Mobile Microwave Cabinet comes with The Hammacher Schlemmer Lifetime Guarantee. Items that we sell are guaranteed for their normal life under standard non-commercial use.